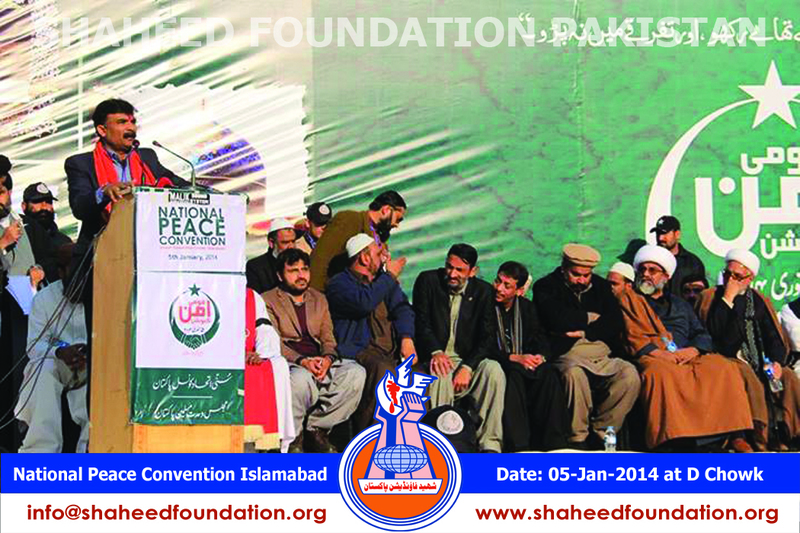 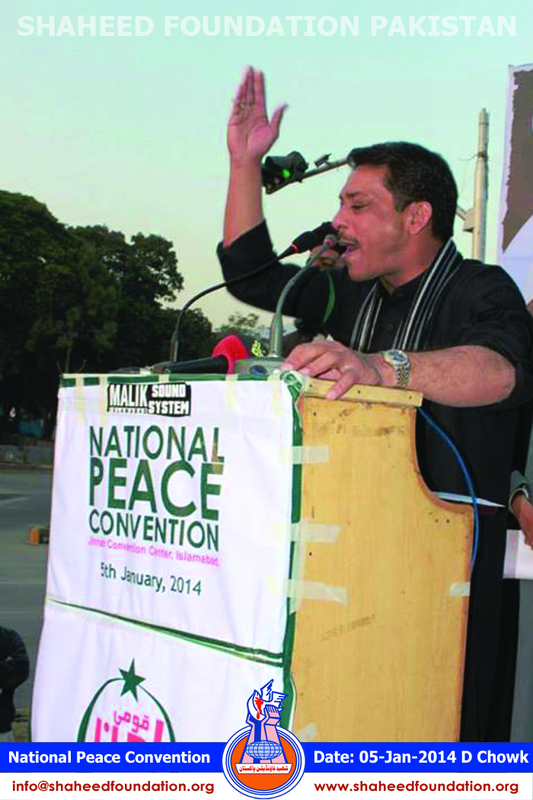 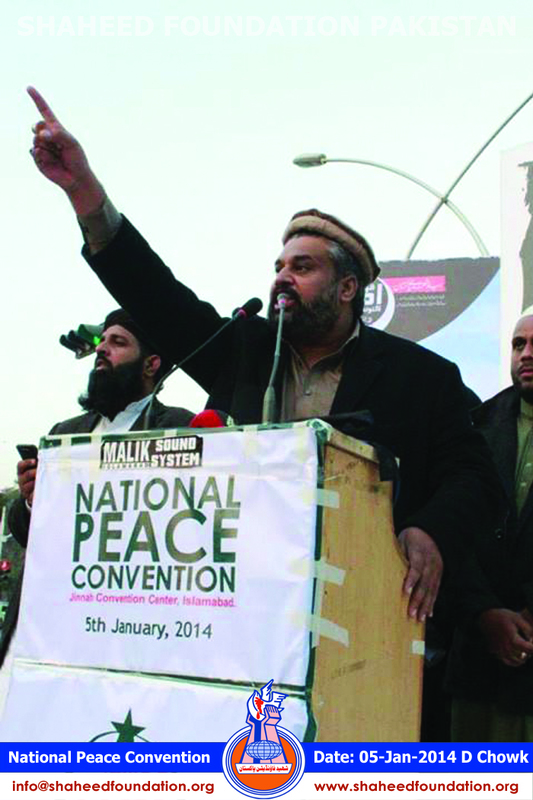 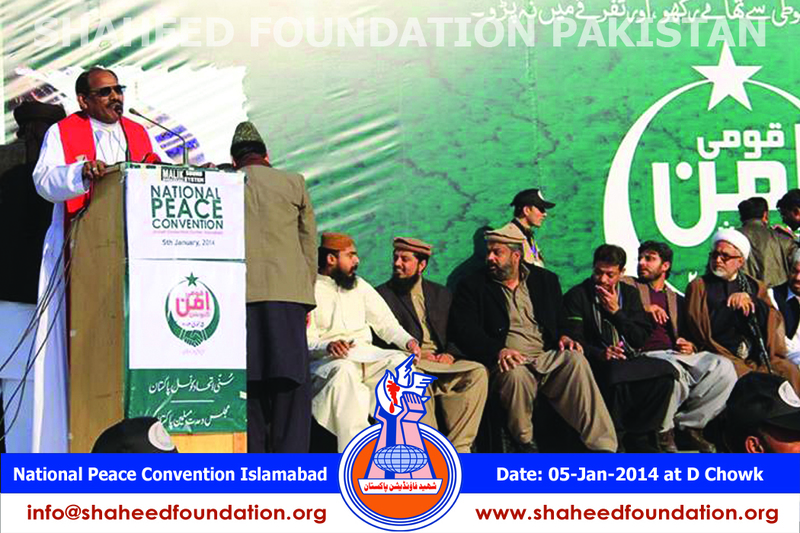 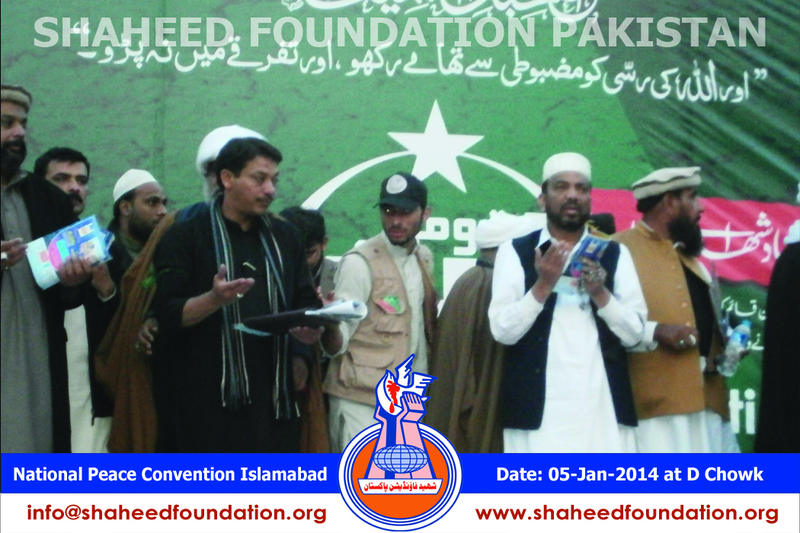 National Peace Convention: Khanwada-e-Shohada Say 'No' to 'Negotiations' With Terrorists. 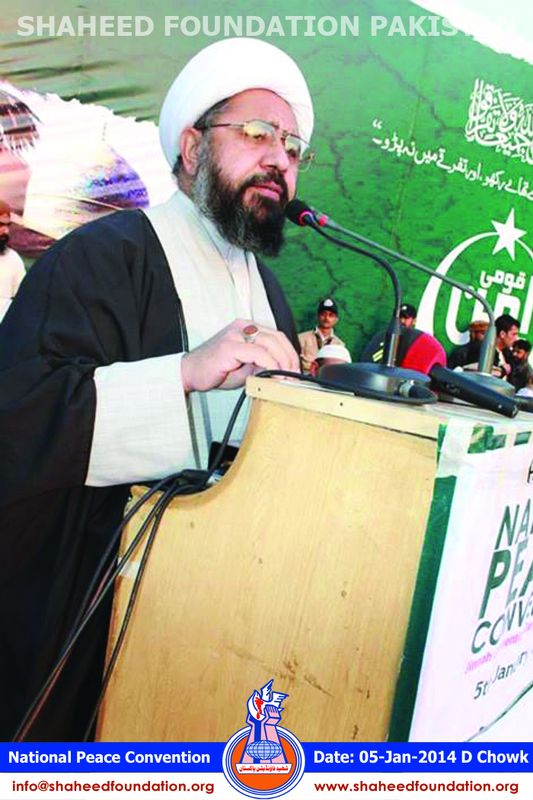 National Peace Convention - a joint initiative of the Sunni Ittehaad Council and Majlis-e-Wahdat-e-Muslimeen Pakistan received tremendous attention in the terrorism ravaged country earlier yesterday . 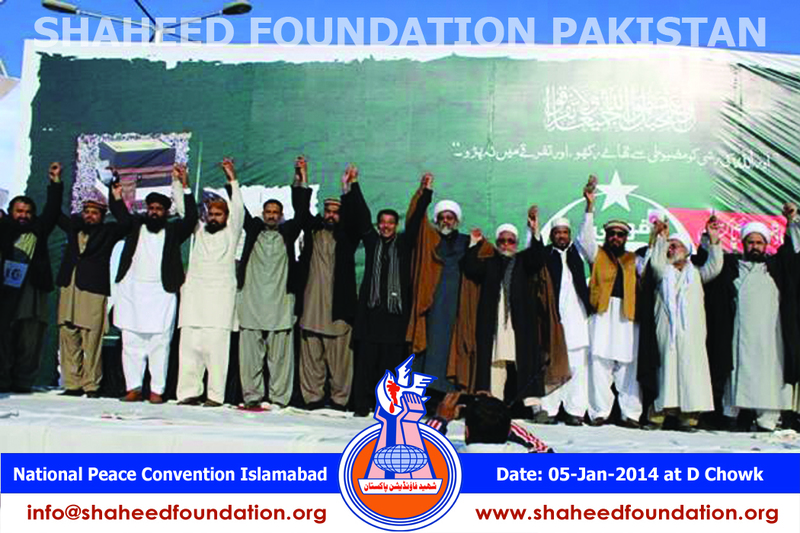 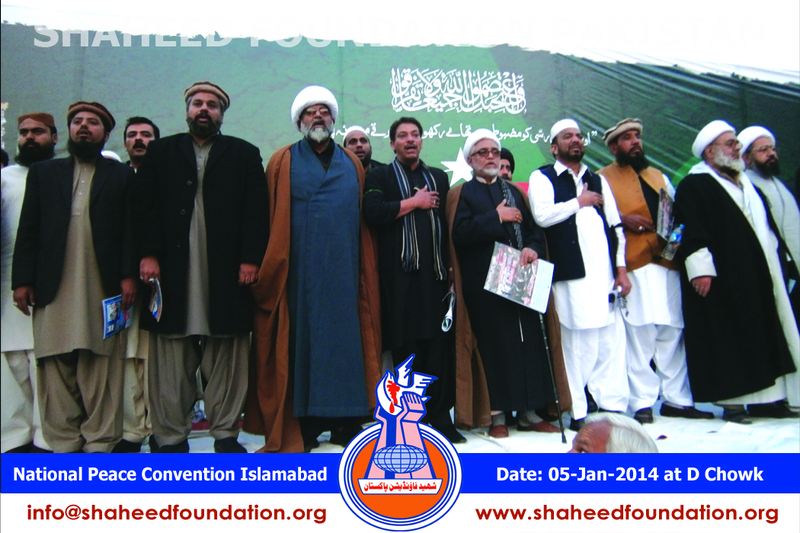 Sunni Ittehaad Council - a conglomerate of nearly thirty mainstream Sunni parties and organizations adhering to the majority Barelvi muslim school of thought ,joined hands with the second largest religious majority of the country - the shia muslim school of thought -in a comprehensive show of strength and unity ,completely isolating the takfiri terrorists of the proscribed organizations and their patrons within the deep state. 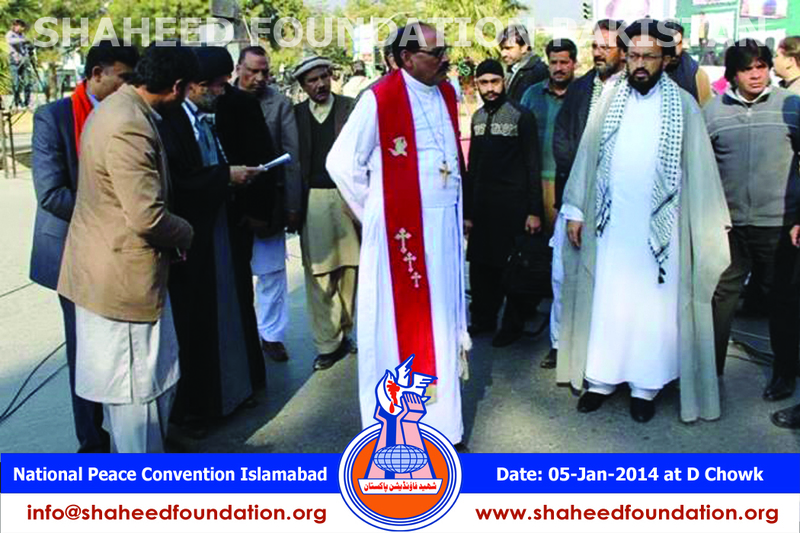 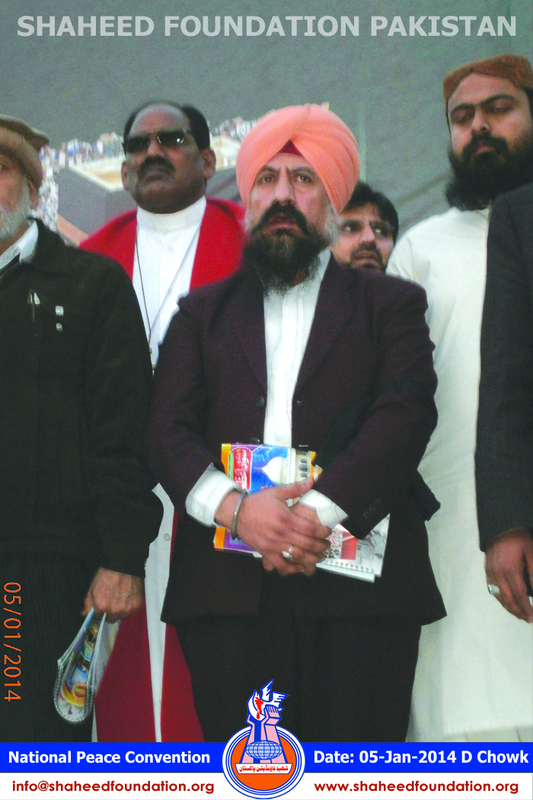 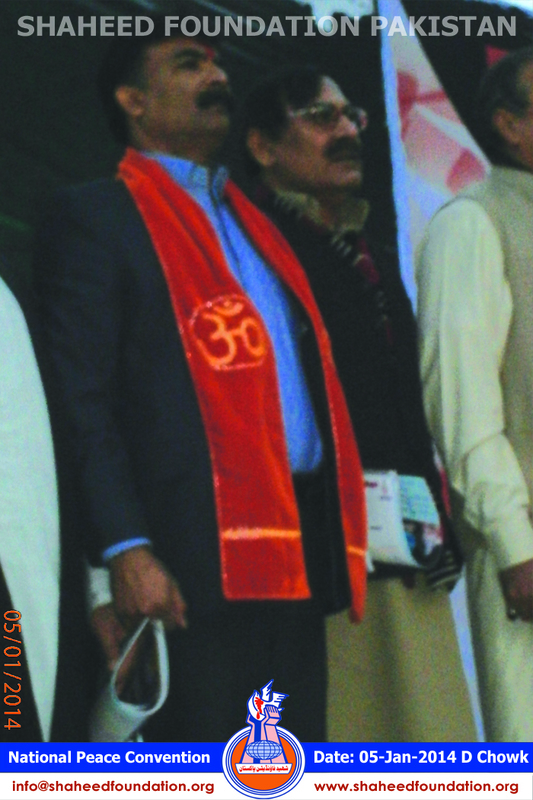 The event went ahead as a much needed breeze of fresh air , even the minority communities such as the Hindu ,Christian and the Sikh Community leaders were seen ,whole-heartedly embracing the noble cause of peace against the takfiri terrorists ,whose barbaric attacks have spared no place of worship , education , public place ,procession ,congregation ,institution , no gender and no age group . 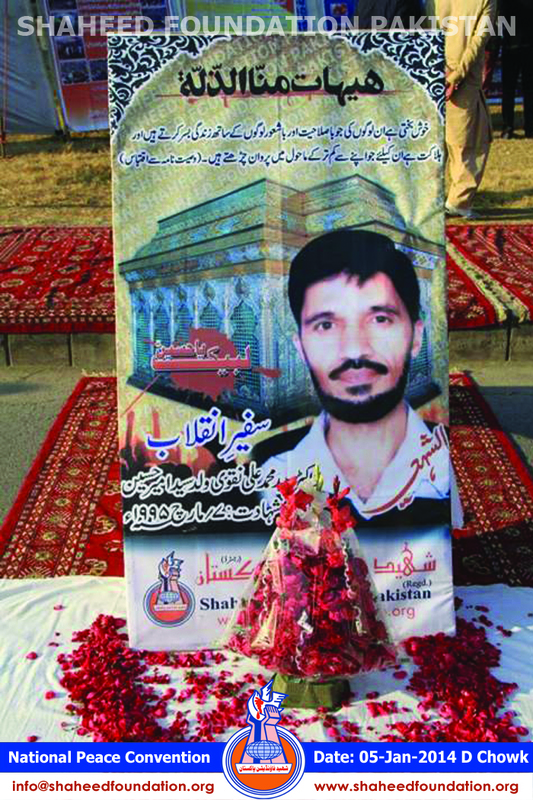 All the blood shed, ironically, has been done , in the name of Islam ,with claims to establish 'emirate' or hollow rhetoric of supposed implementation of 'Shariah'. 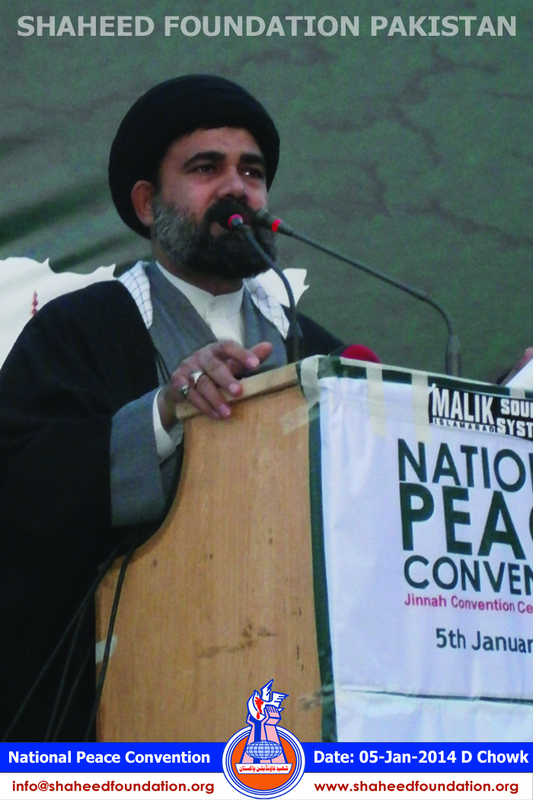 Nothing ,nothing but a famous quote from Imam Hussain [AS] can put it best ... "wa alal Islam Assalaam.." 'Peace' to Islam ,when the likes of yazid[LA] entangle the ummah "
The event was convened to forge stronger unity between the two largest majority muslim populations of the country as well as for reach out to fellow citizens belonging to minority community who have faced some of the most horrible and devastating attacks on their places of worship and strongholds ,at the hands of takfiri wahhabi beasts . 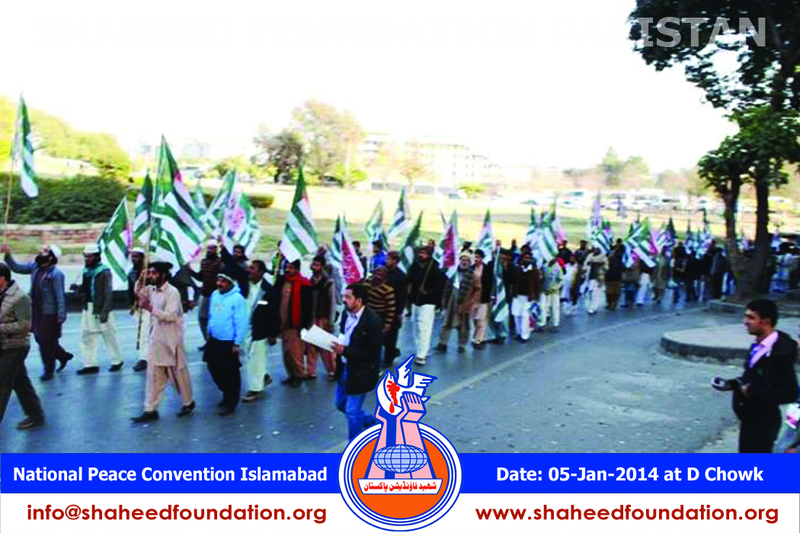 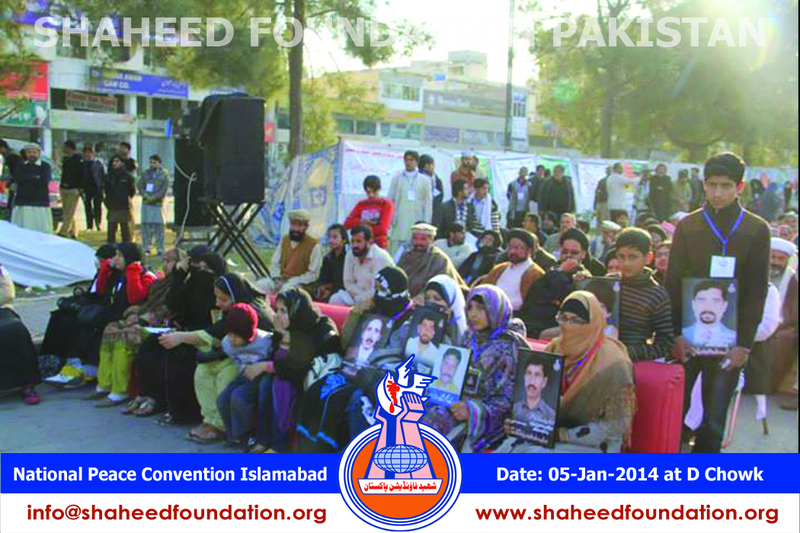 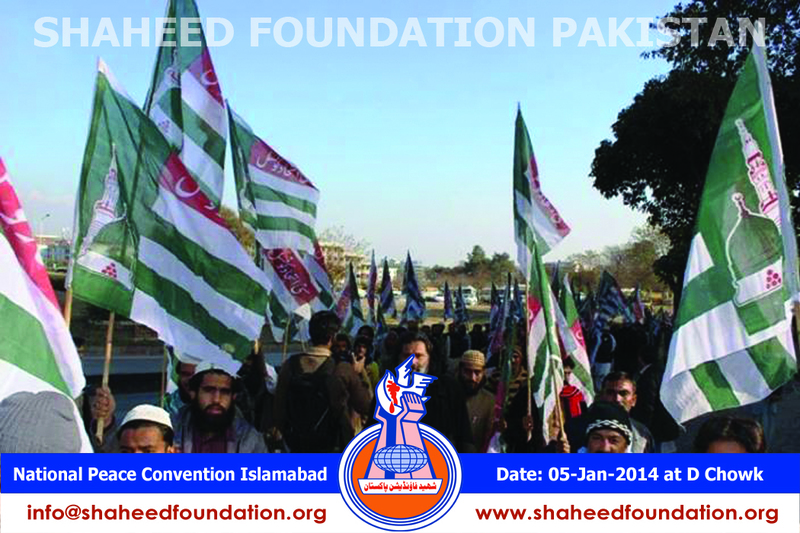 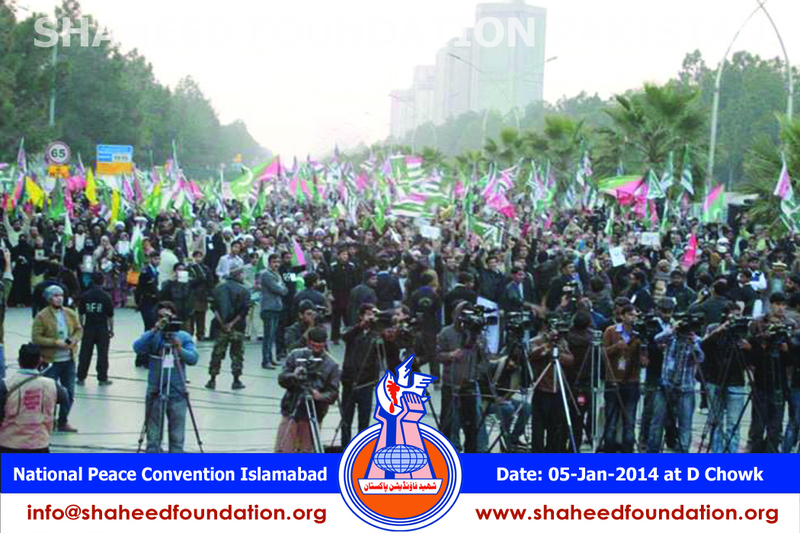 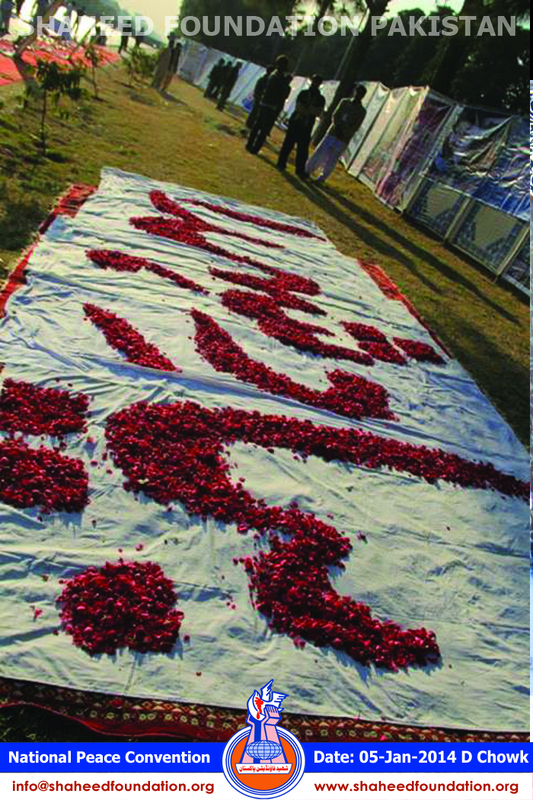 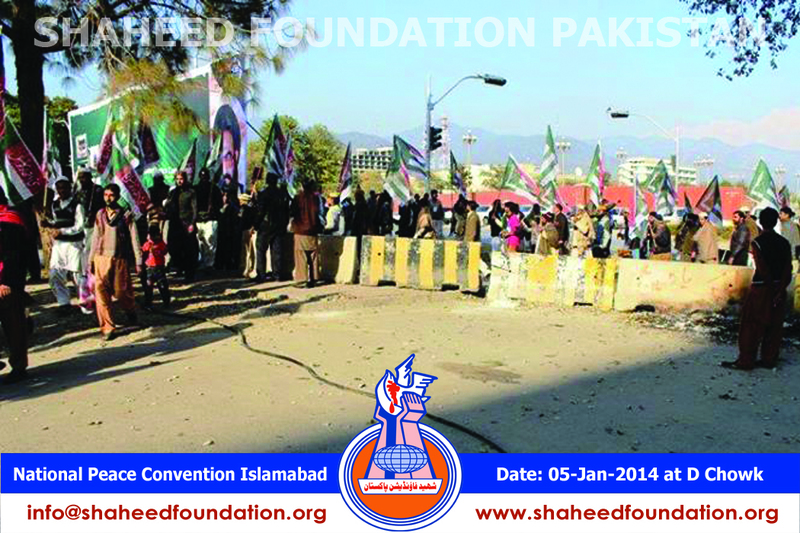 The event was not given the No Objection Certificate sources privy to the organizers were quoted as saying and hence the workers of the event managing committees worked hard untiringly to install the tents and make the arrangements on the changed venue of D-Chowk ,just at a stone's throw from the parliament house ,in freezing cold nights of January in the federal capital . 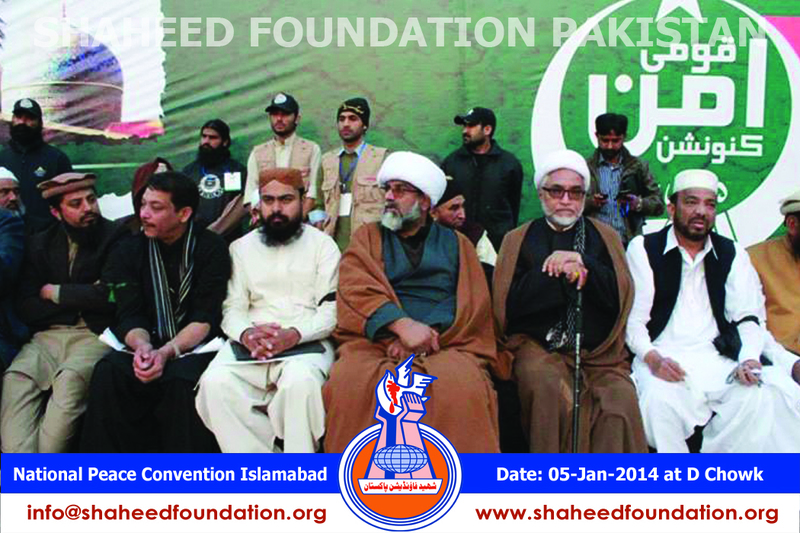 Speakers belonging to various Shia and Sunni organizations as well as the civil society spoke on the occassion and paid glowing tributes to the martyrs who have sacrificed their lives while fighting the menace of takfiri wahhabi terrorism raising a lot of skeptical questions on wide ranging issues related to terrorism . 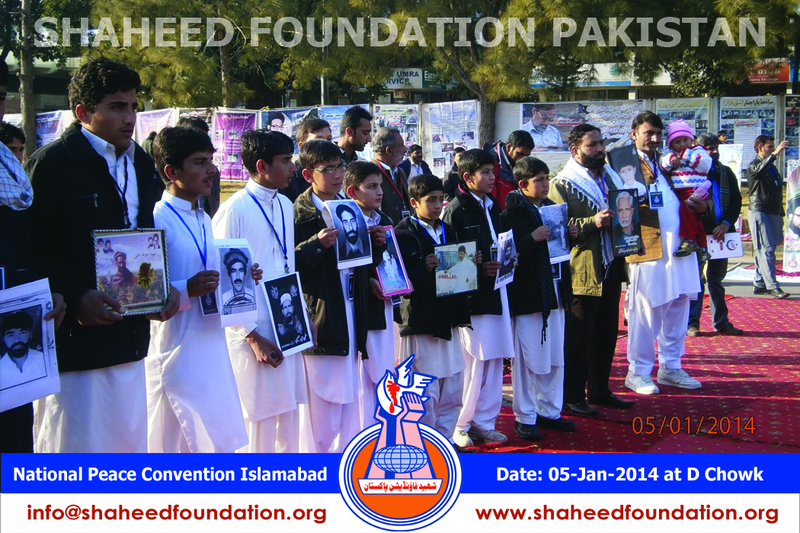 The heirs of martyrs also presented their views on the sidelines of the program . 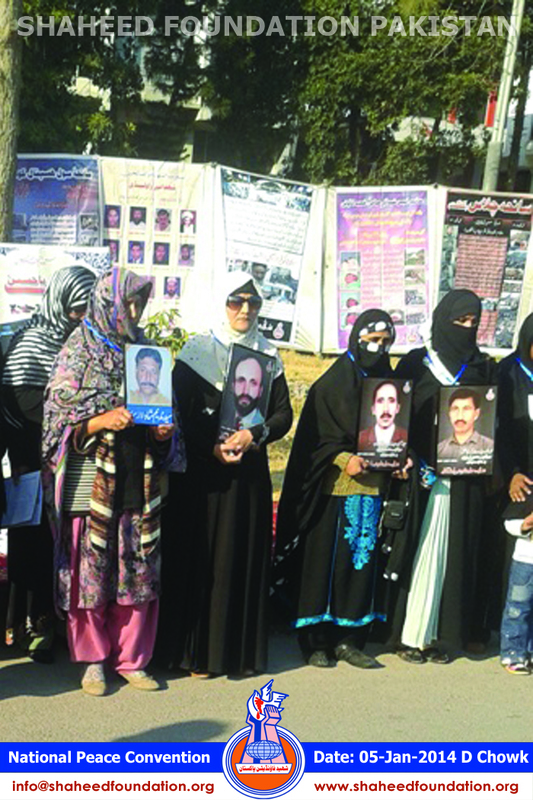 The participants unanimously said an unequivocal NO to the idea of 'negotiating' peace with terrorists and instead raised concern for bringing the perpetrators of the heinous crimes to book. 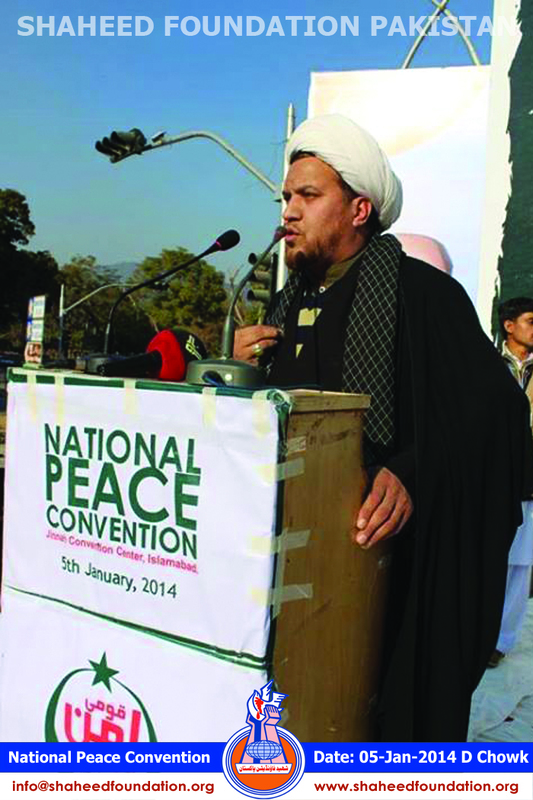 They also lambasted those at the helm of affairs for their connivance with terrorists and overt patronage of proscribed organizations. 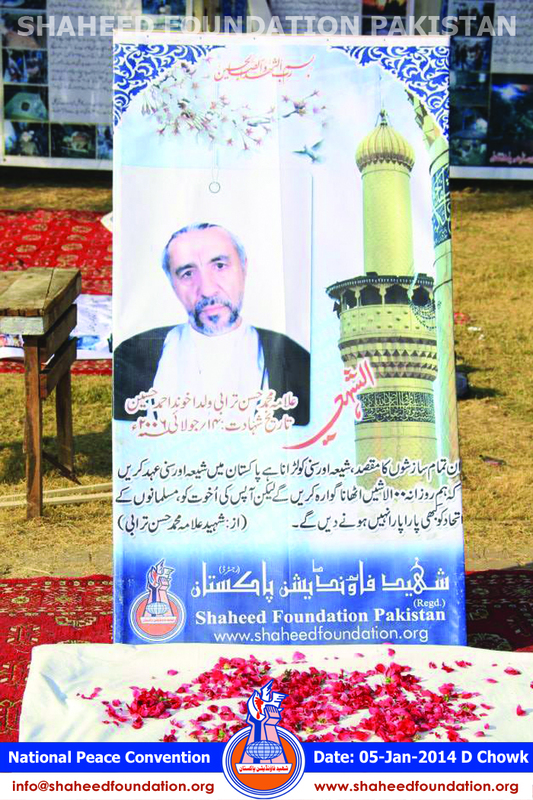 Takfiri wahhabi terrorists have declared war against the Shia muslims in Pakistan ever-since the draconian dictatorship ,bartered 'peanuts' for the so called 'jihad' . 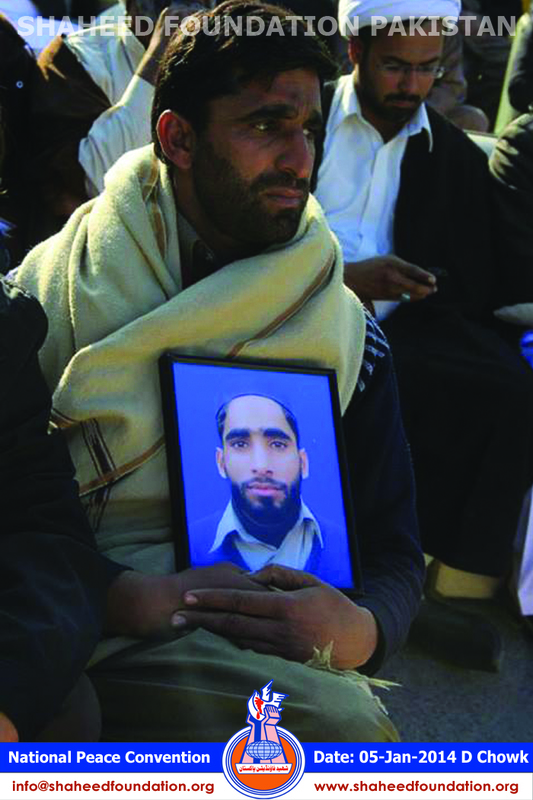 Lately however for last some years, the same rag tag militias have come to haunt ,every one else too ,making it abundantly clear ,to all and sundry ,what goes around comes around. 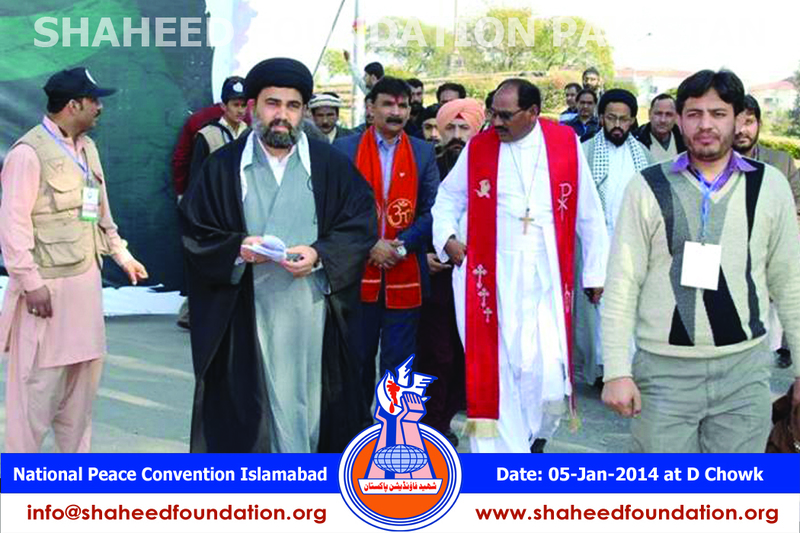 The continued victimisation of the two highest majority religions' adherents has resulted in fostering a natural alliance .Much to the dis-may of takfiri terrorists , not just Barelvi and Shia muslims ,rather the minority non-muslim communities also have garnered strong support to the noble cause of bringing peace and chasing away the takfiri wahhabi terrorists from our pure lands. 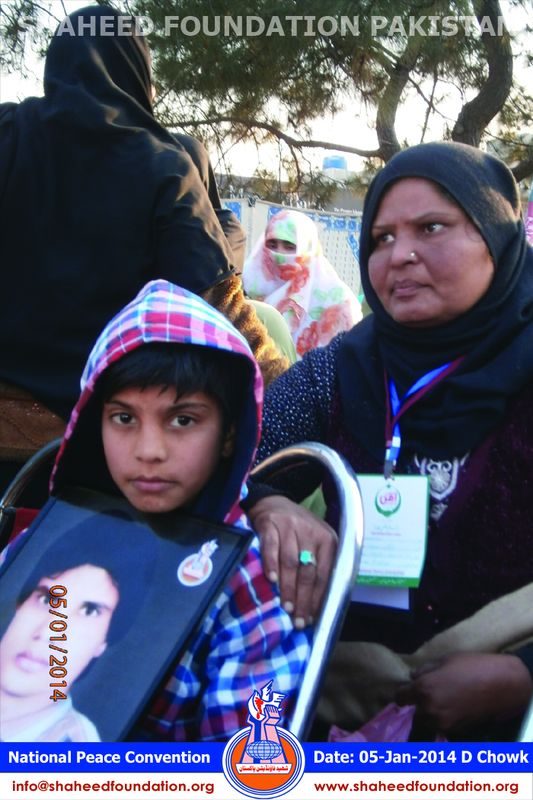 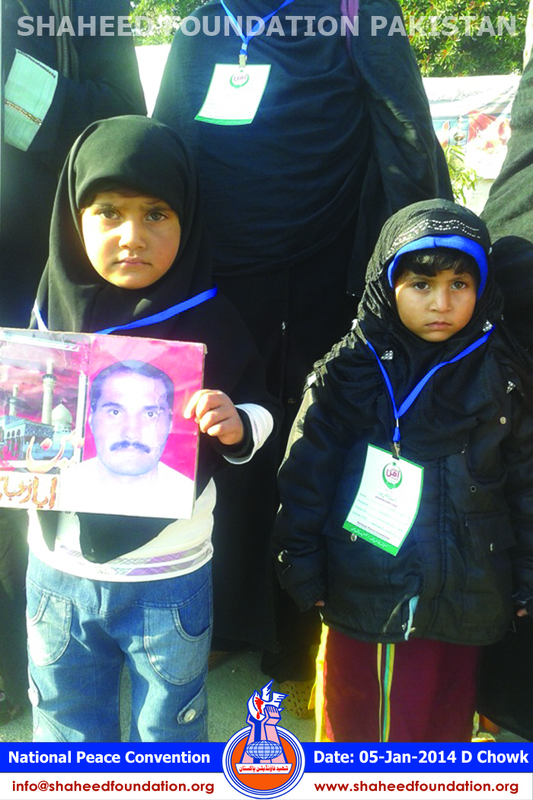 On the special request of the organizers some 50 plus families of Khanwada-e-Shohada-e-Millat-e-Jaffaria Pakistan belonging to different areas ,turned up on the occassion. 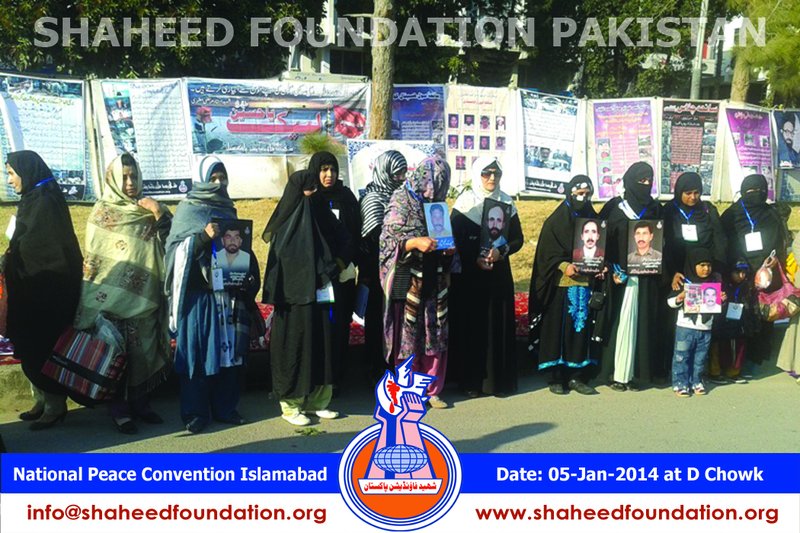 Central Committee ,Shaheed Foundation Pakistan also along with a select group of area coordinators and working members joined the occassion . 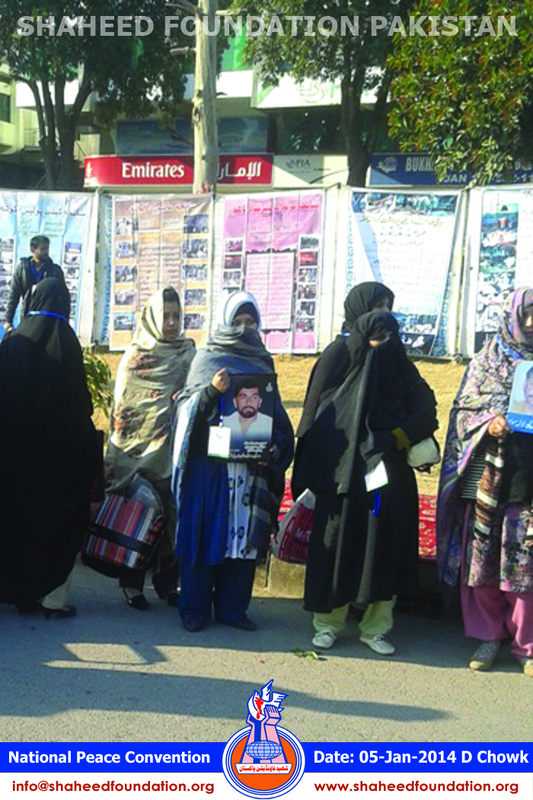 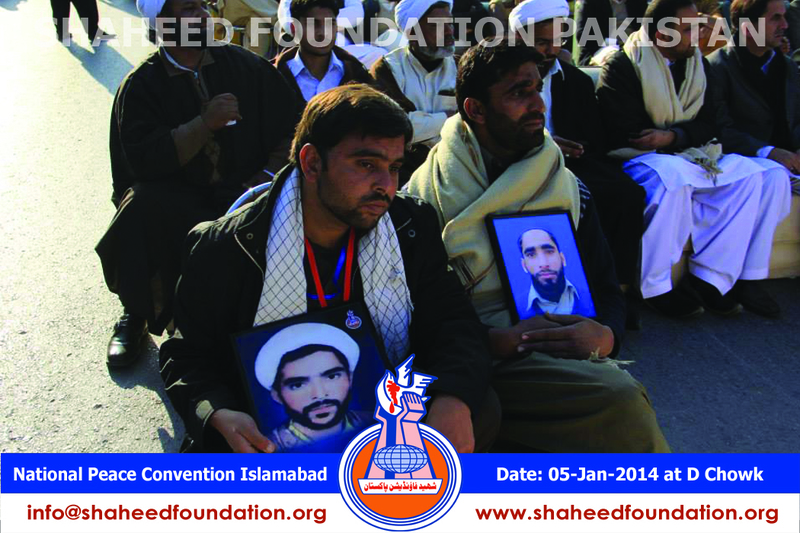 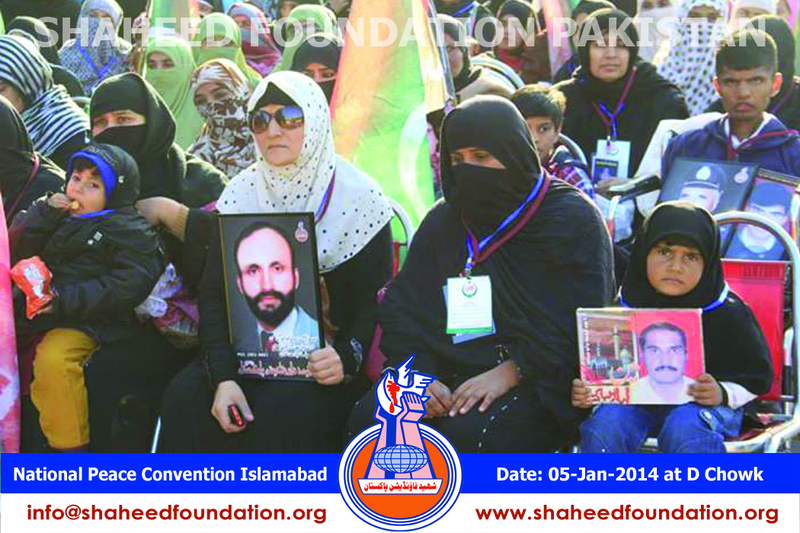 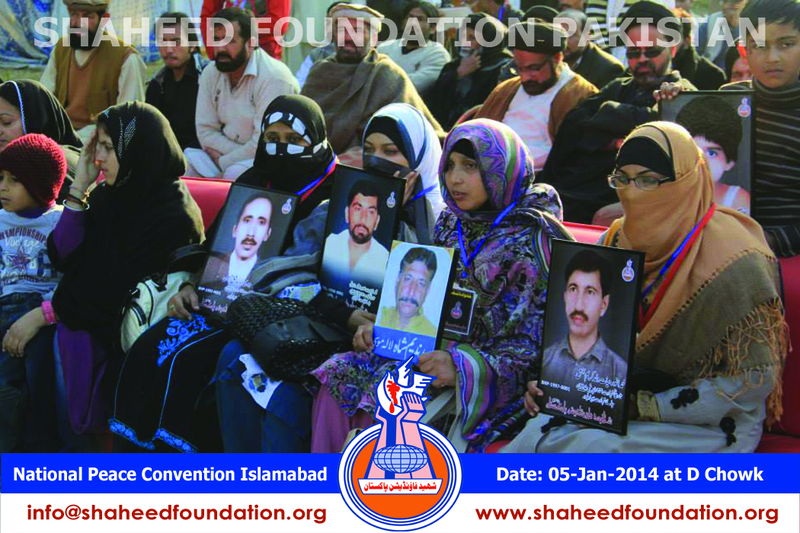 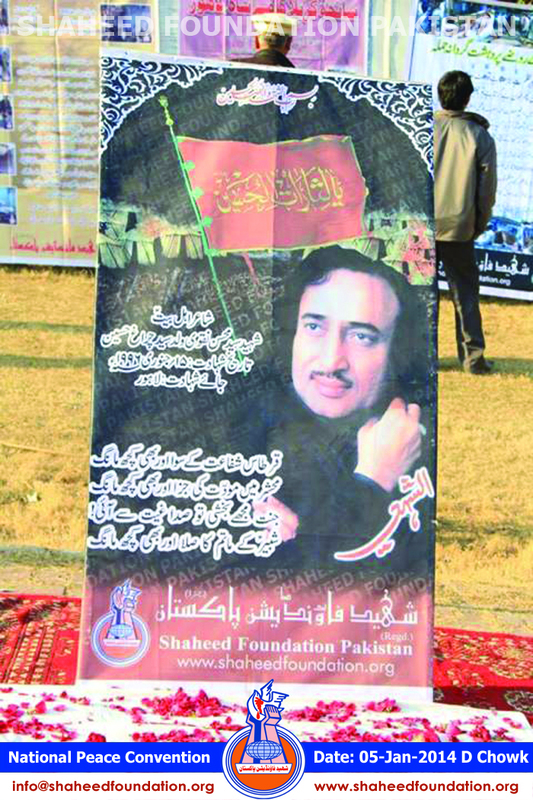 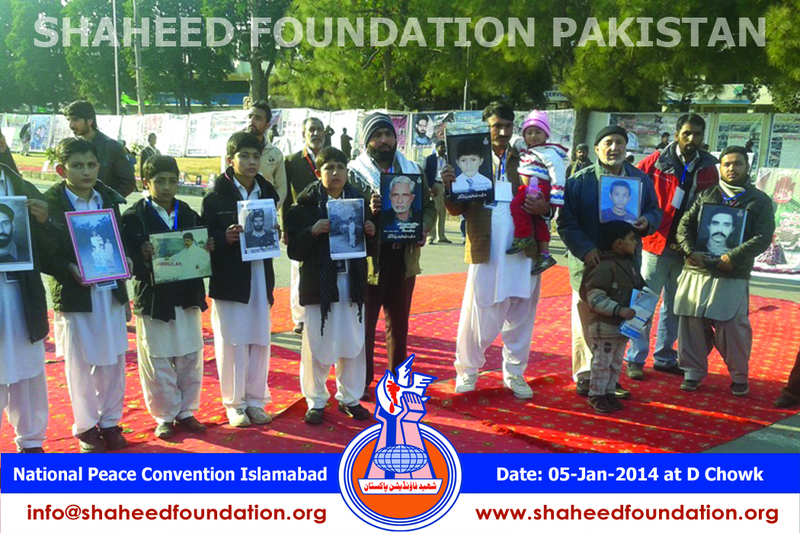 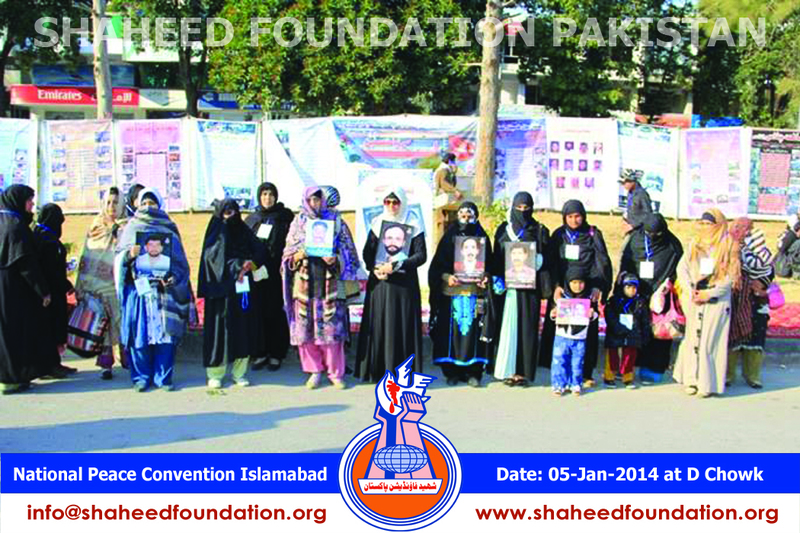 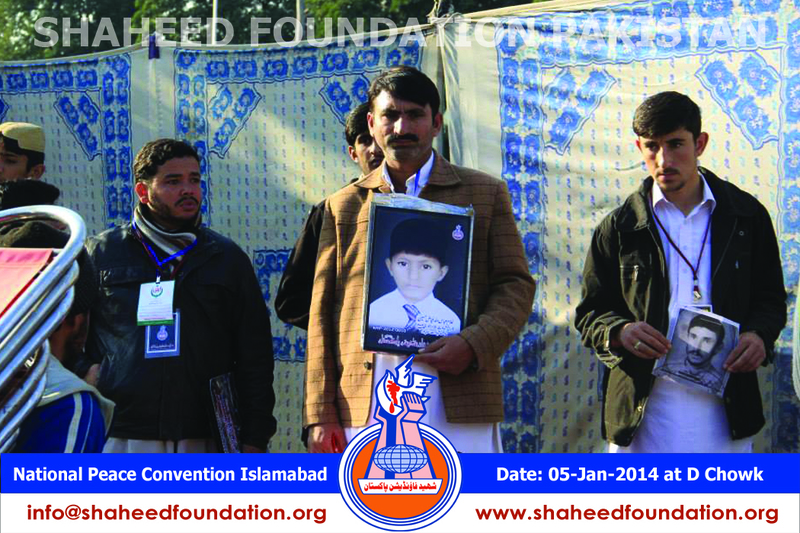 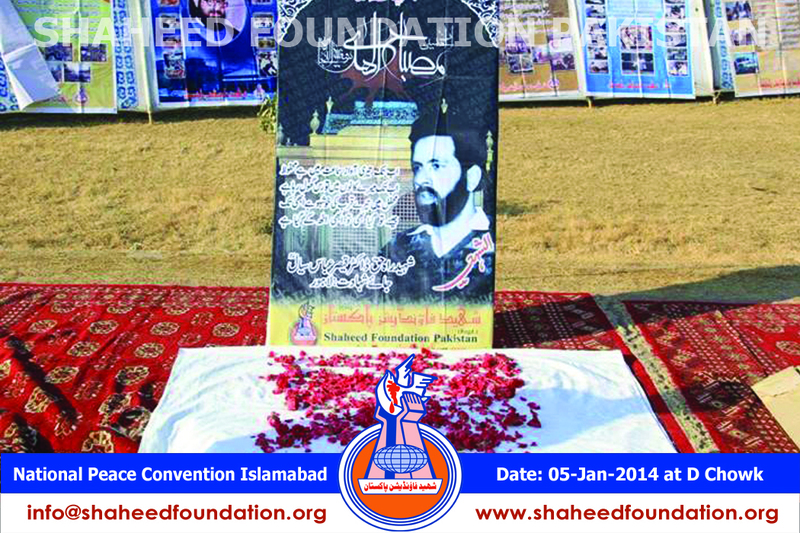 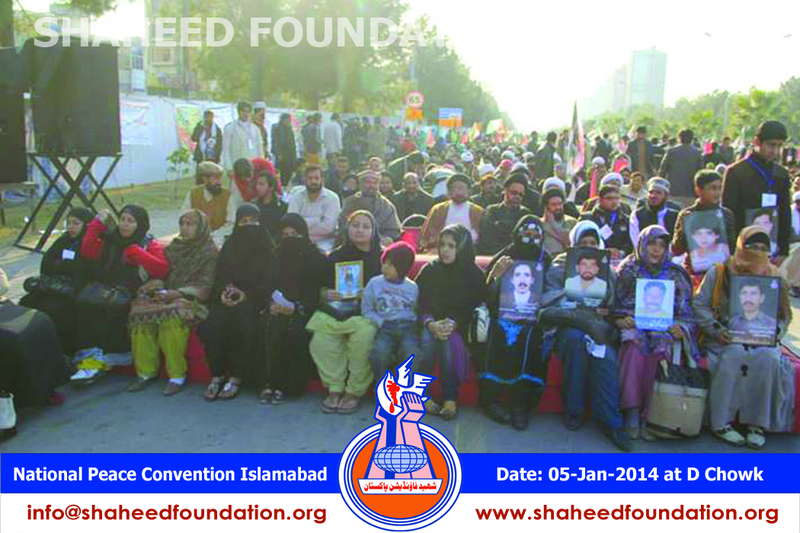 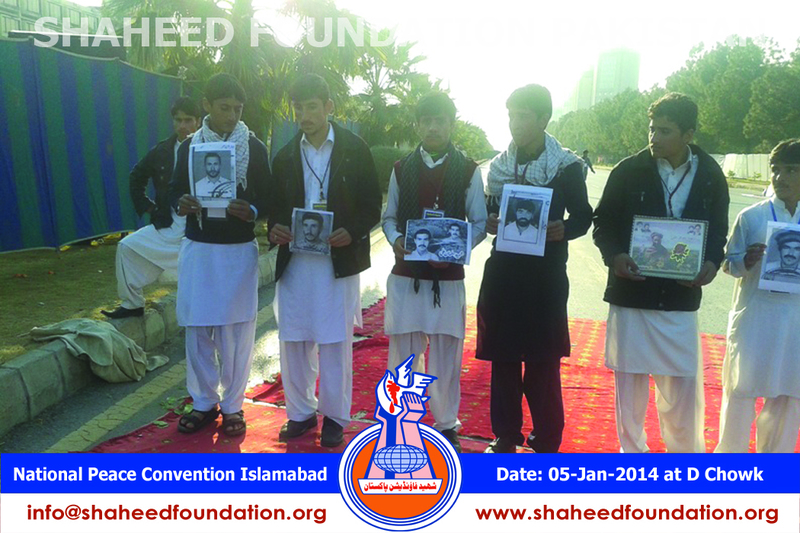 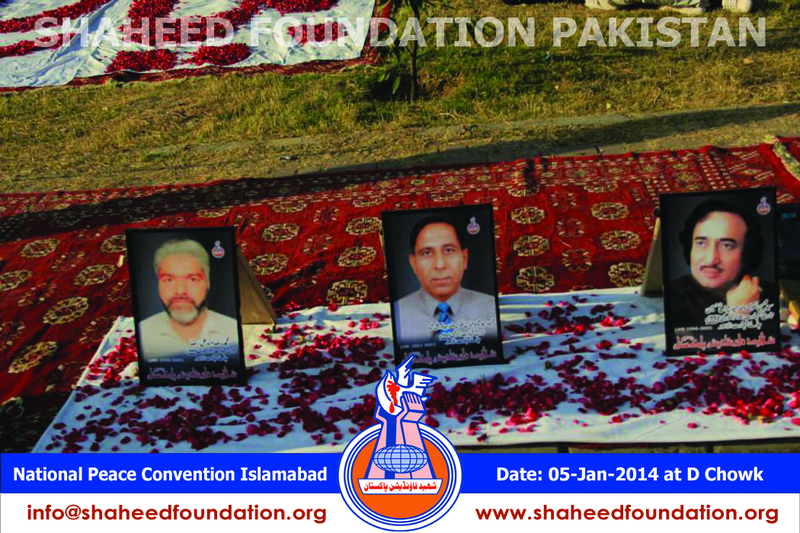 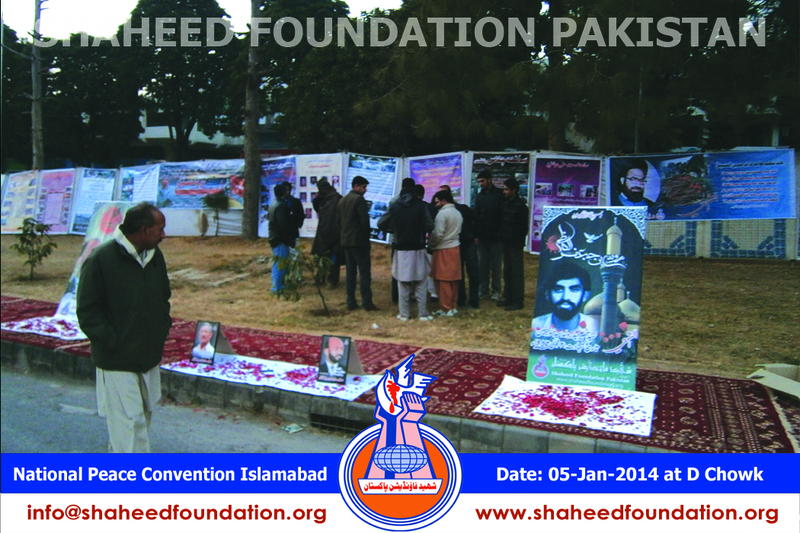 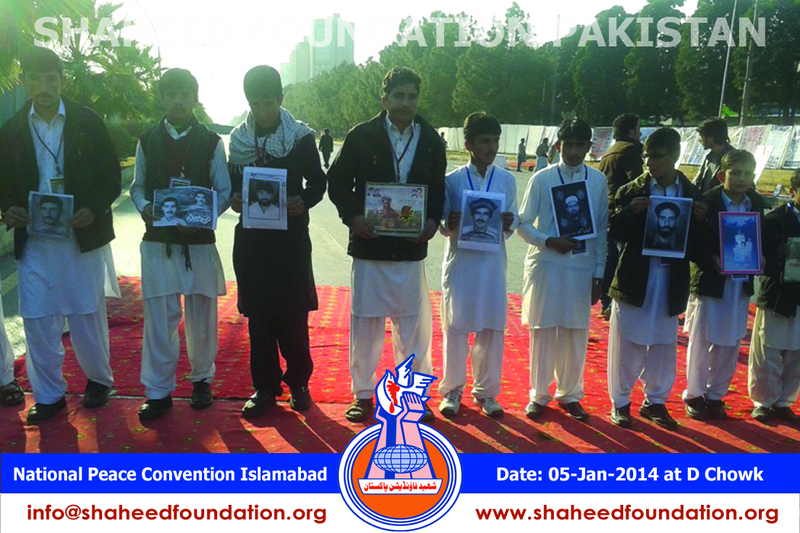 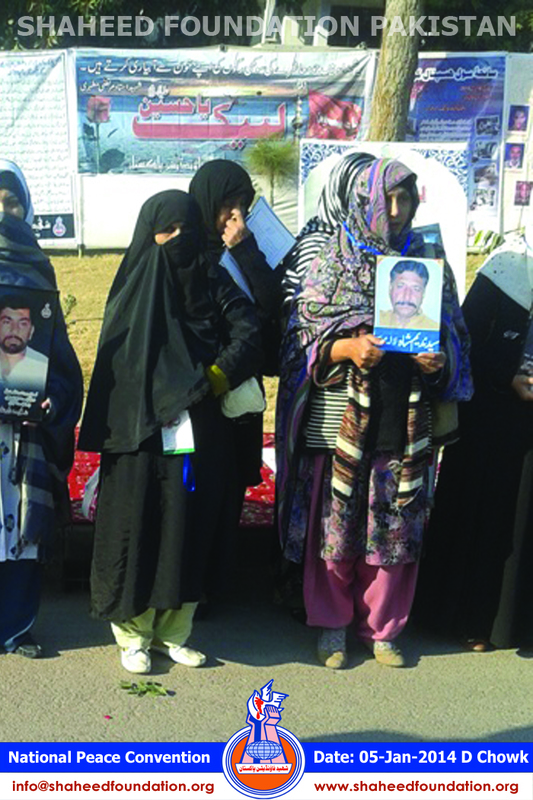 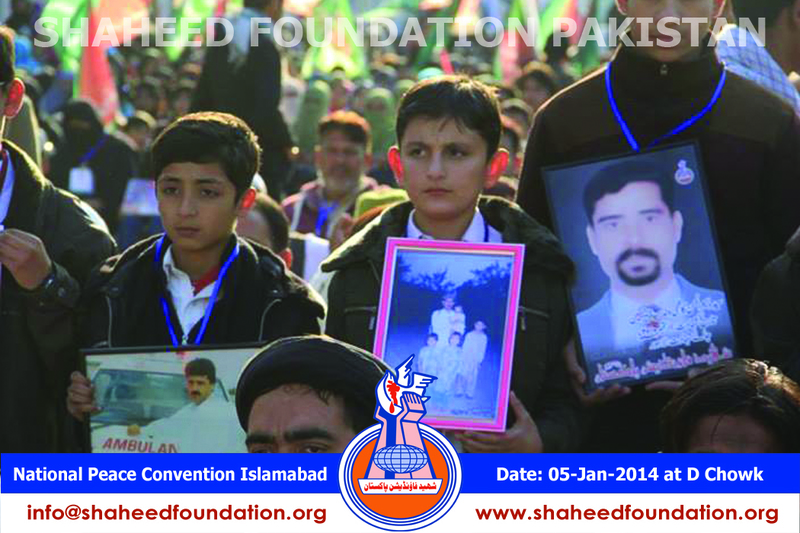 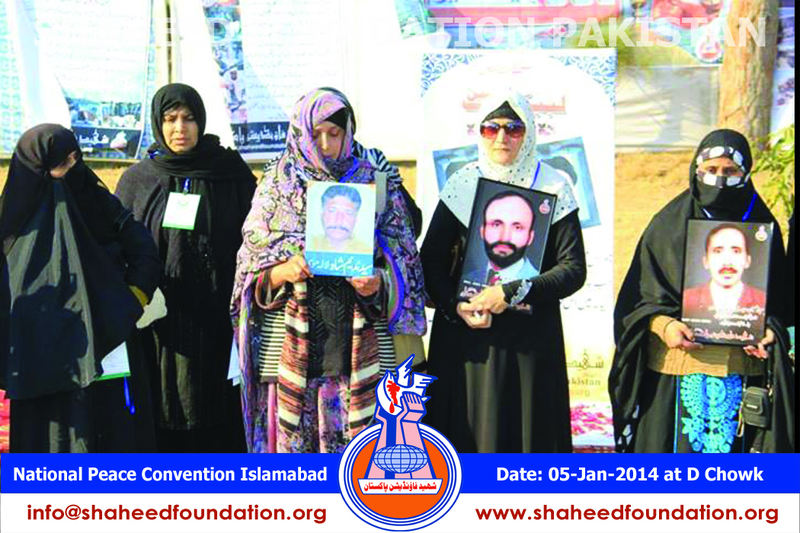 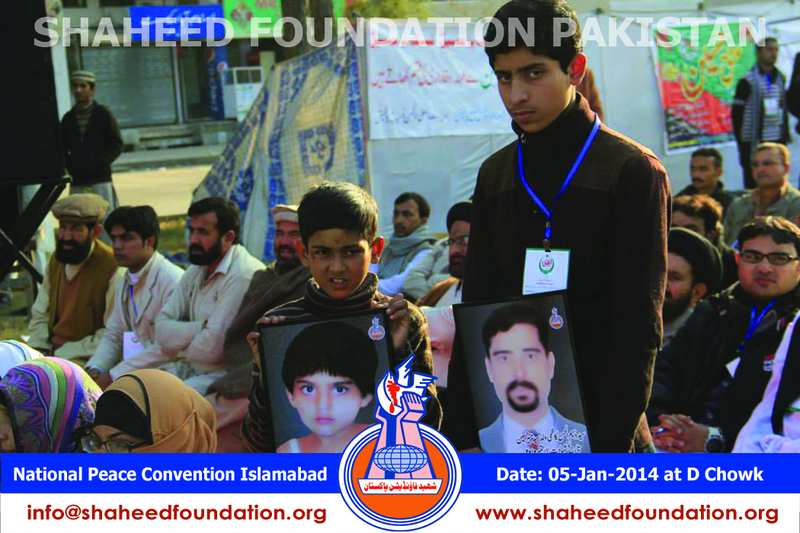 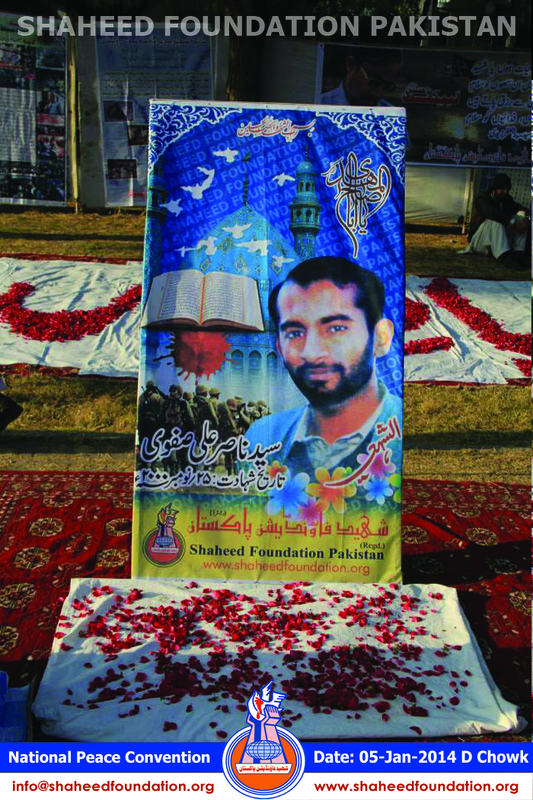 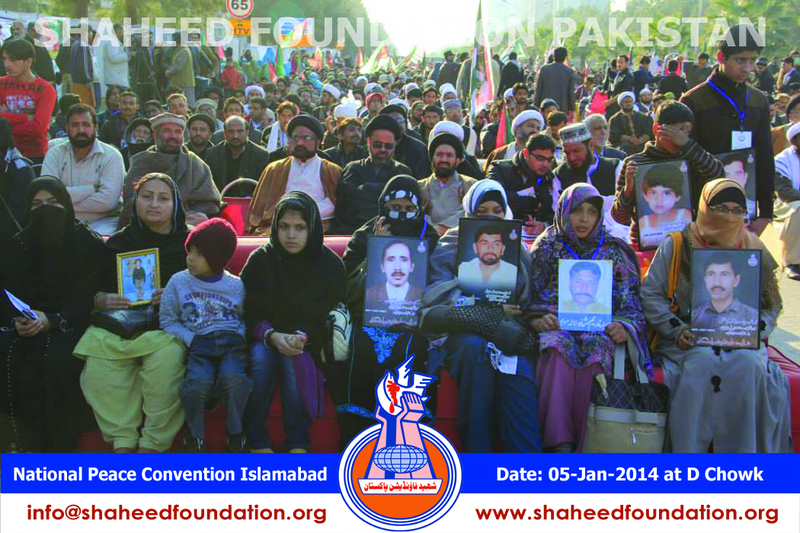 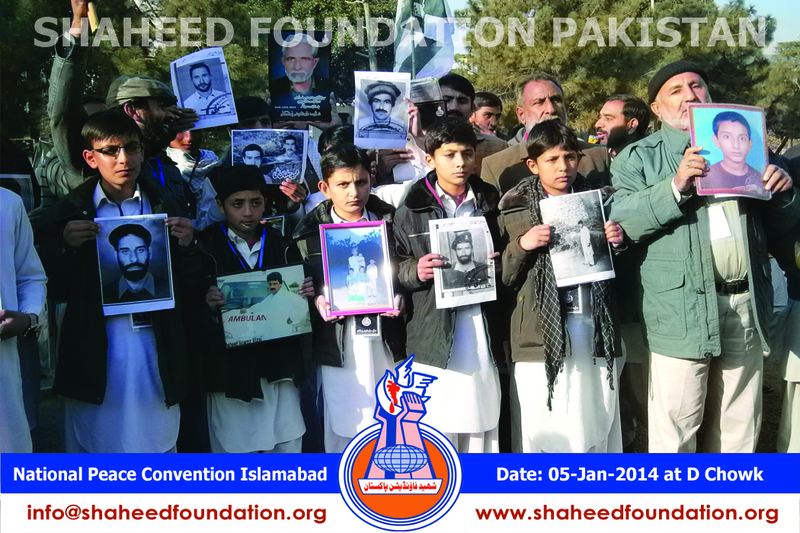 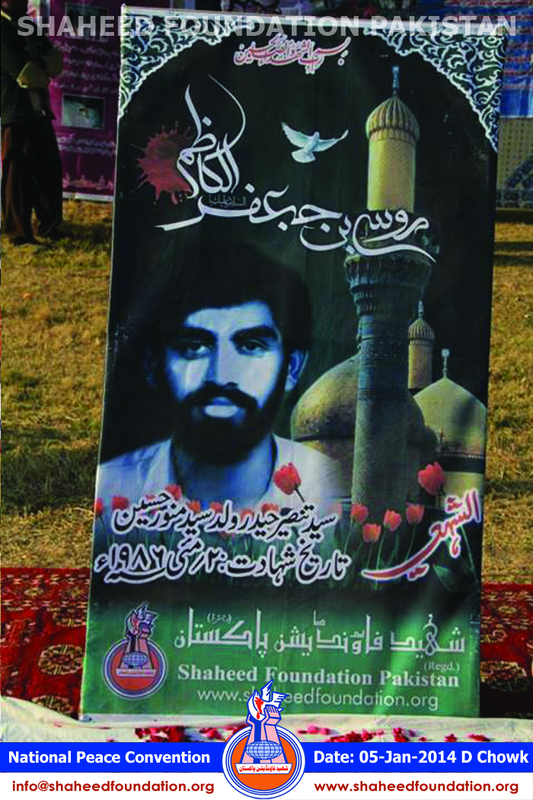 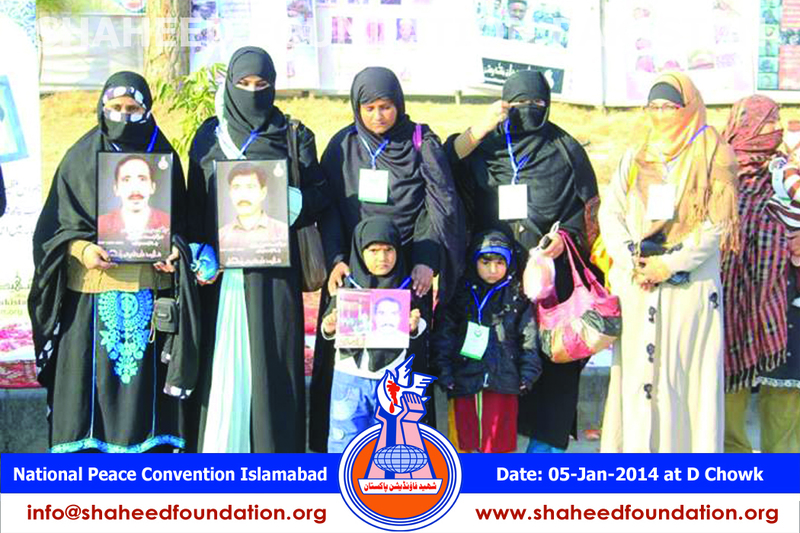 A small exhibition of shohada picture was managed in a make shift manner. 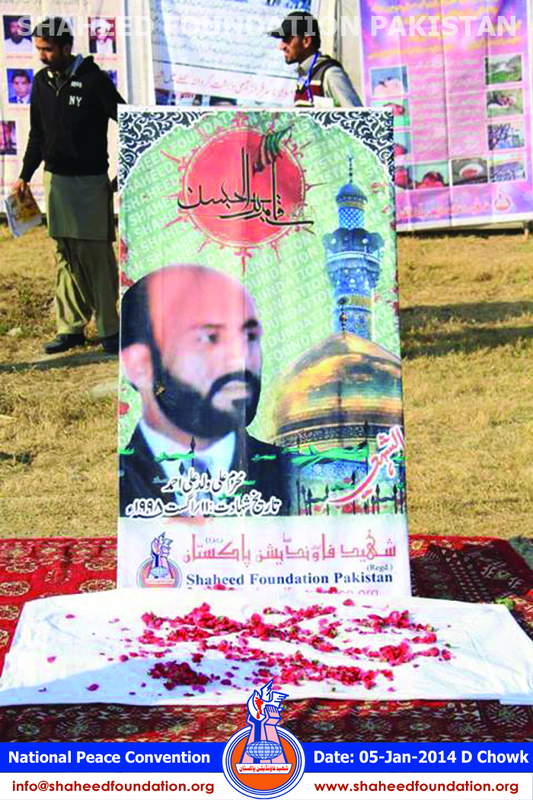 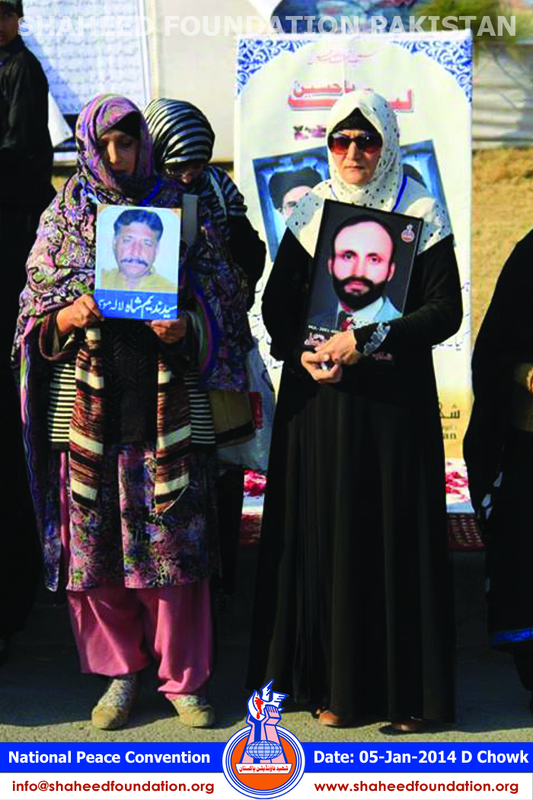 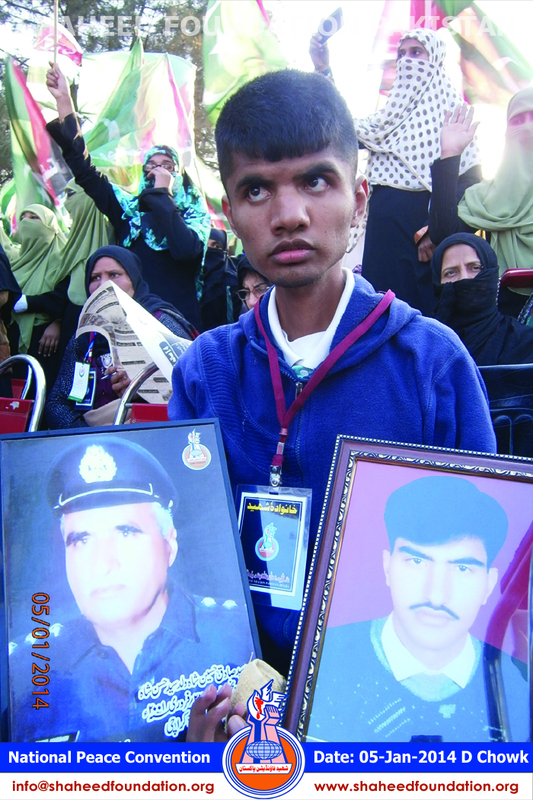 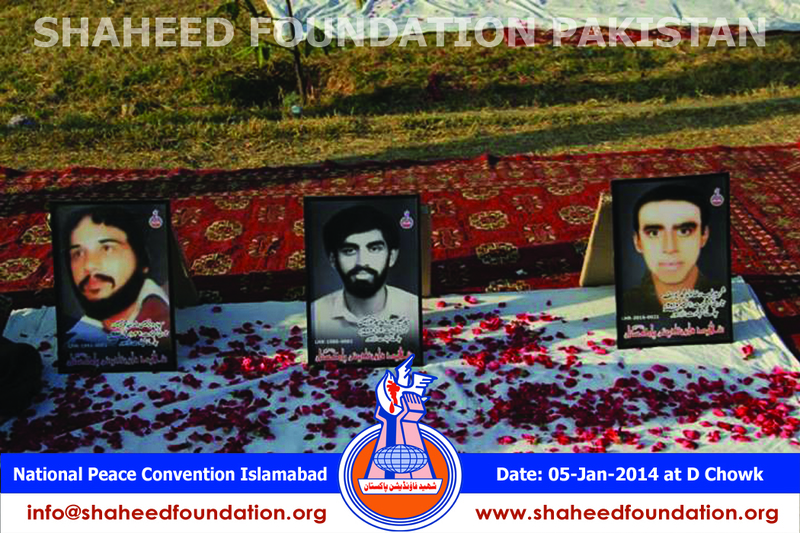 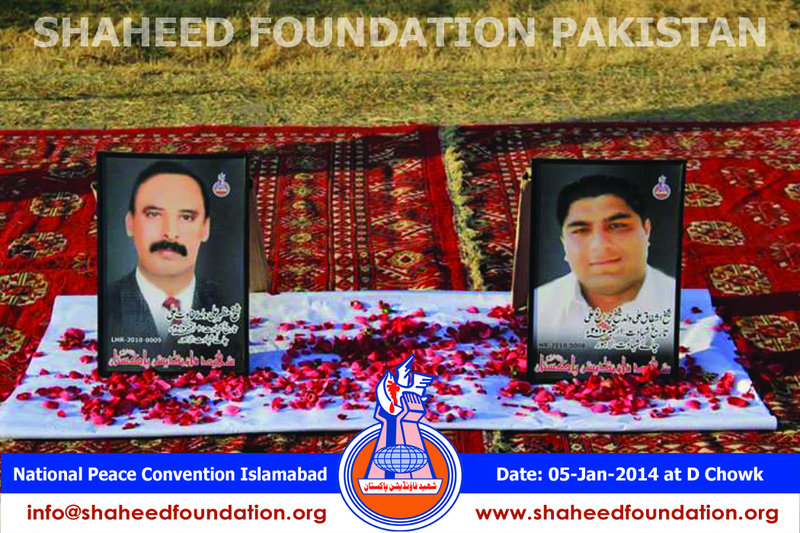 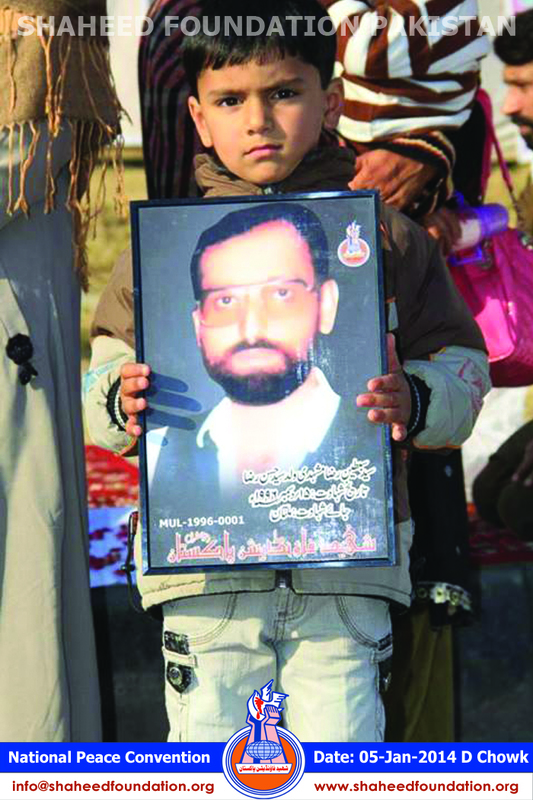 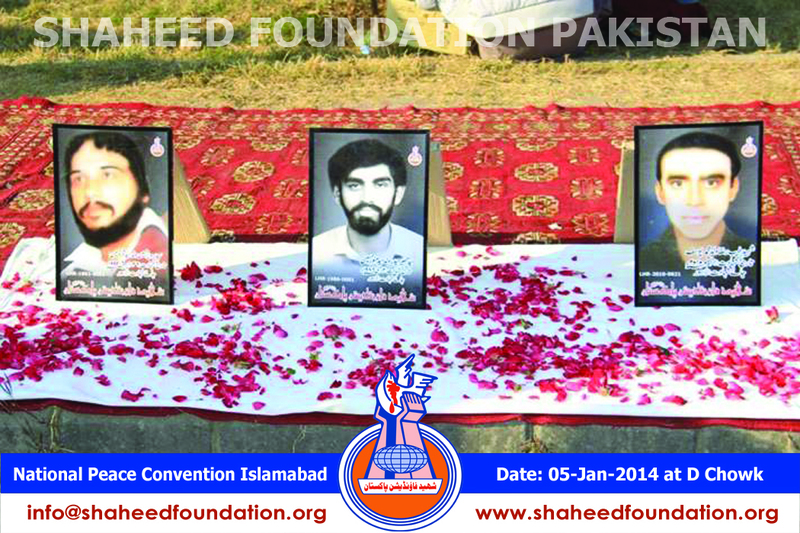 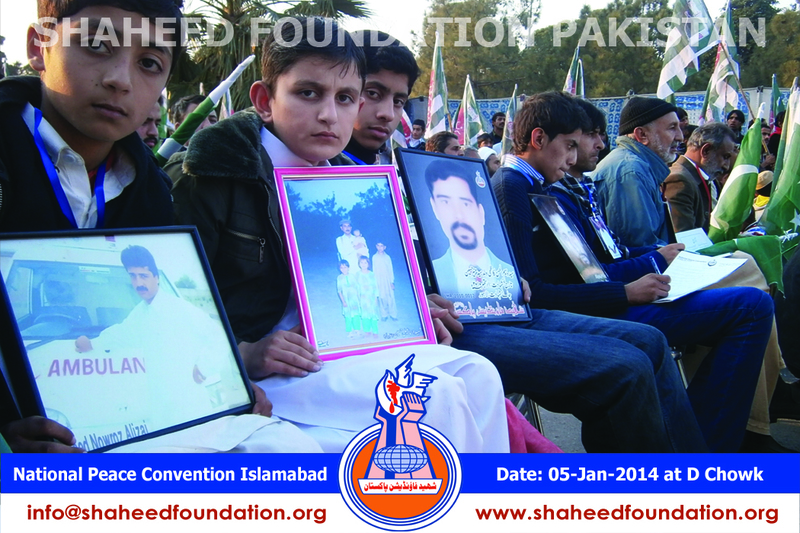 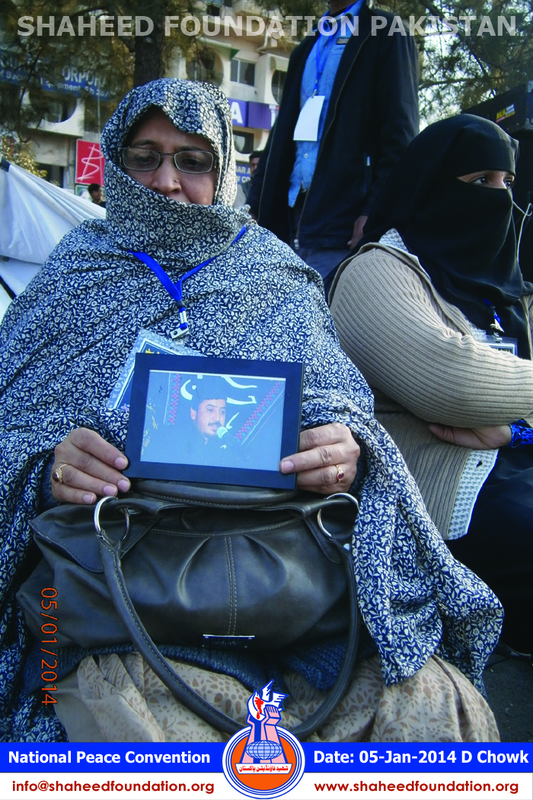 Many heirs brought the photographs of their beloved martyrs on this occassion , which brought tears to several eyes . 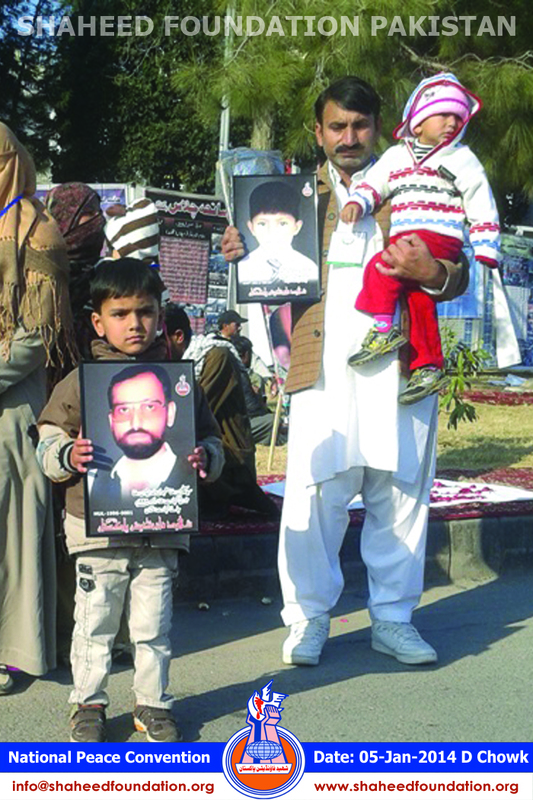 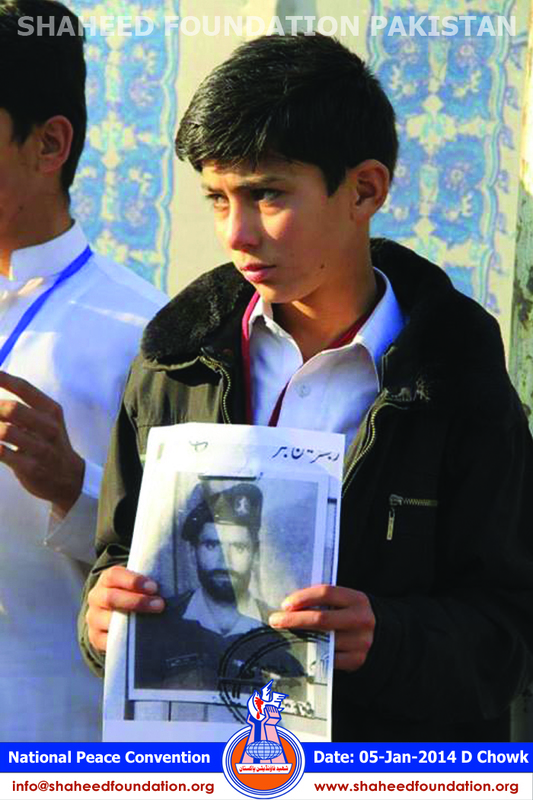 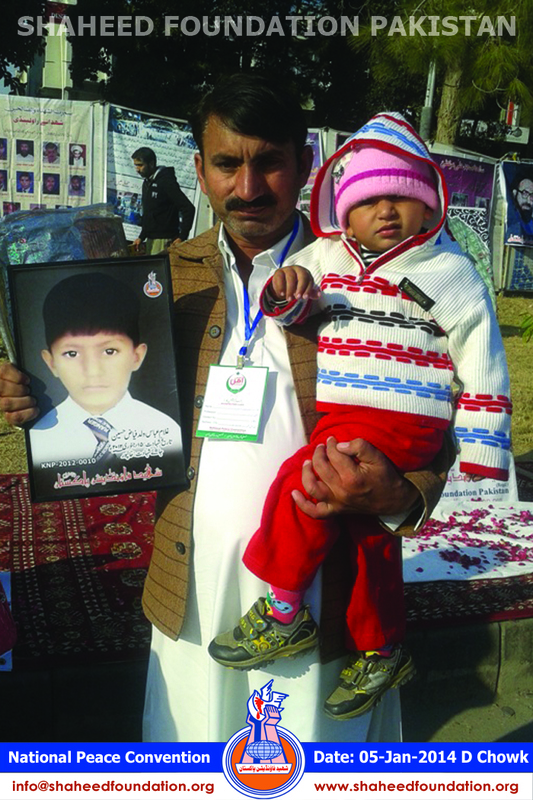 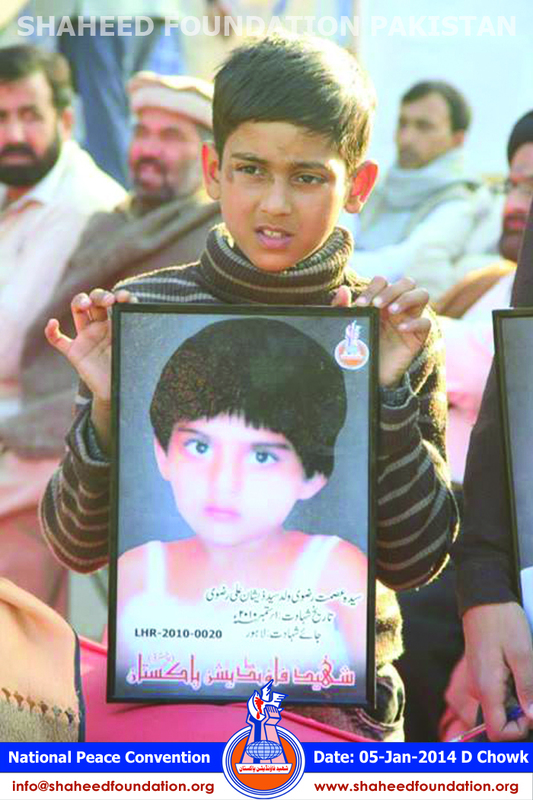 There where pictures of child martyrs ,some as as young as 3-4 years of age asking the society " Bi Ayyi Zambin Qutilat"? 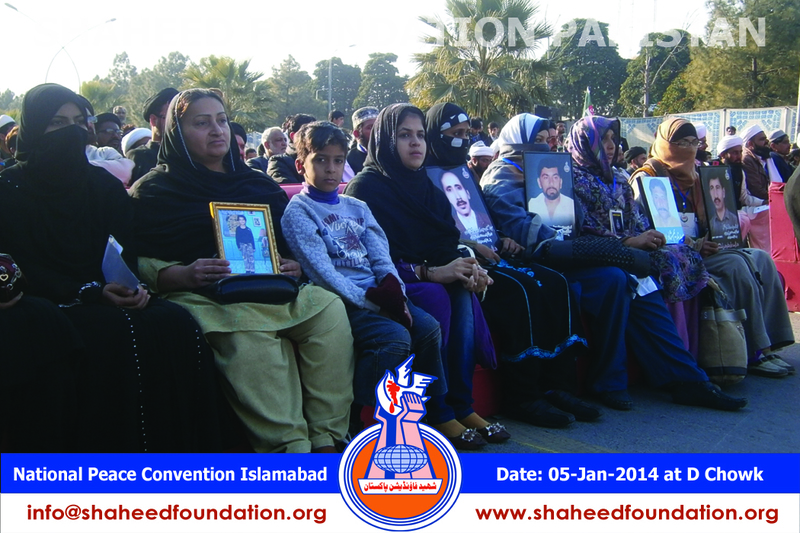 Central Committee on this occassion met the families ,extended regards and goodwishes to the families on behalf of Shaheed foundation Pakistan and thanked them for their gracious presence. 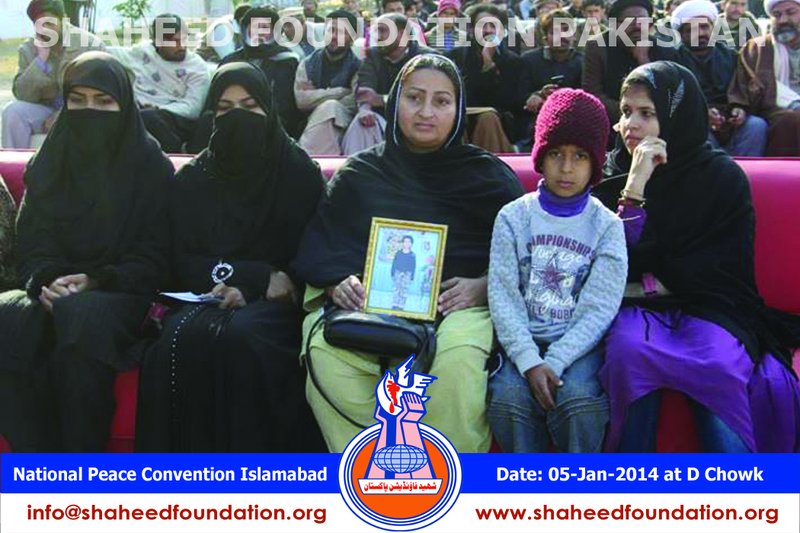 The families were also enquired of their health and well being . 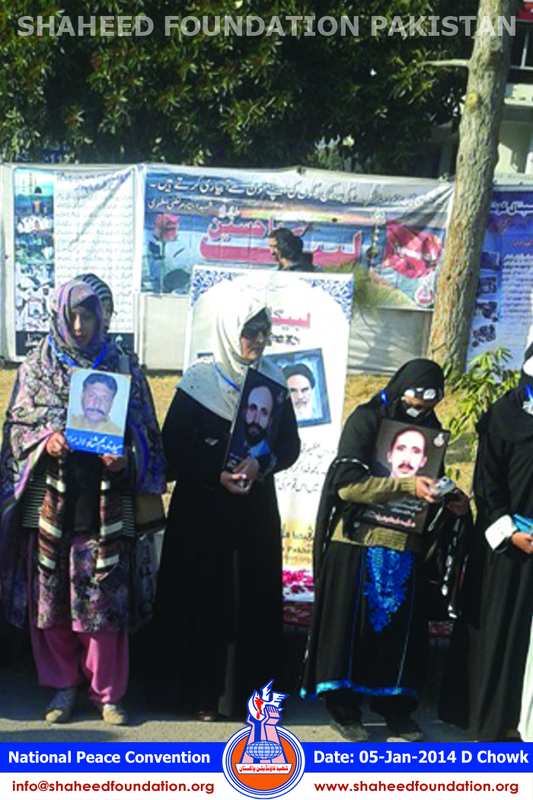 Families also shared about their current challenges and Central Committee instructed the corresponding area coordinators for assisting the noble families of beloved martyrs . 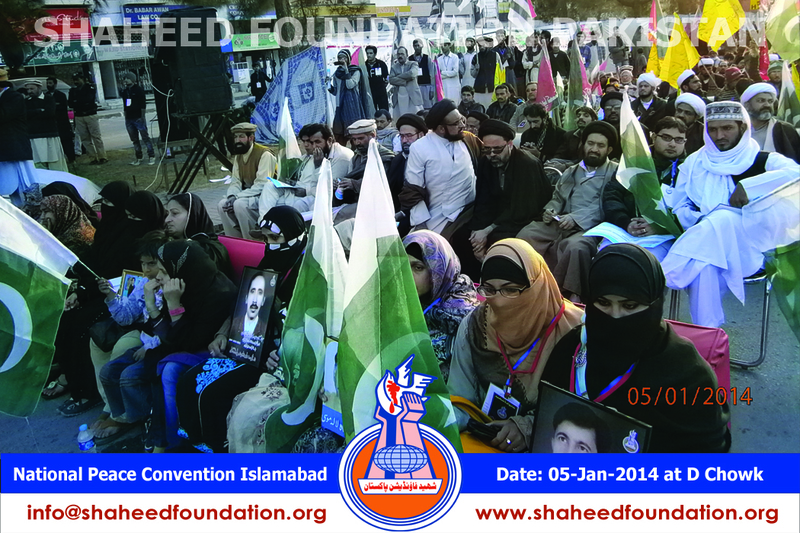 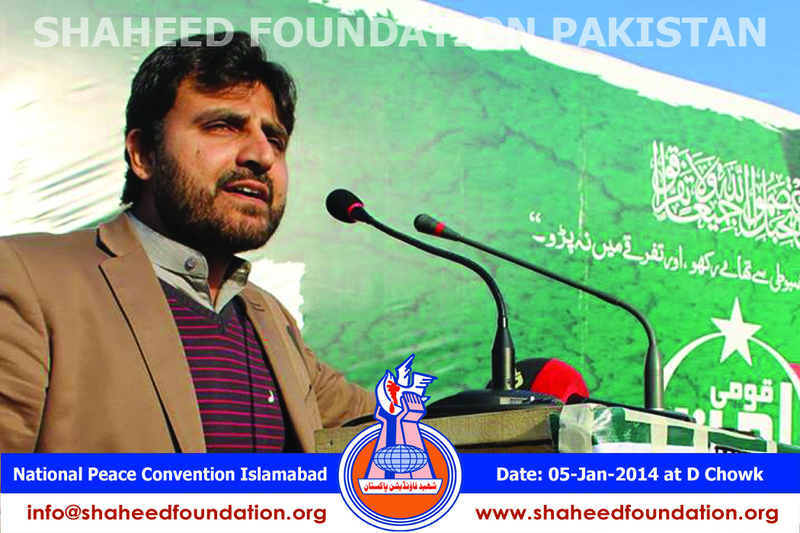 Some of the participants also shed light on the importance of arranging these events on a sustained basis . 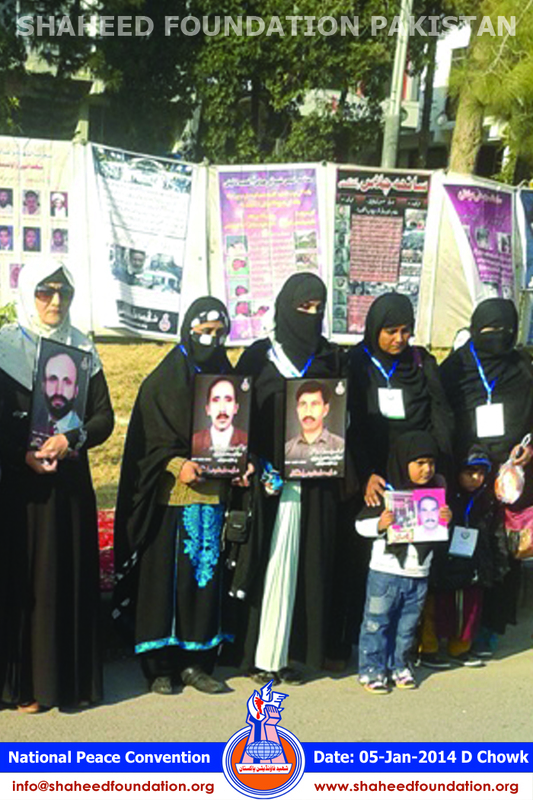 The organizers seemed convinced and indicated their intentions to hold public gatherings with diverse participation at grass roots levels ,so as to foster stronger goodwill . 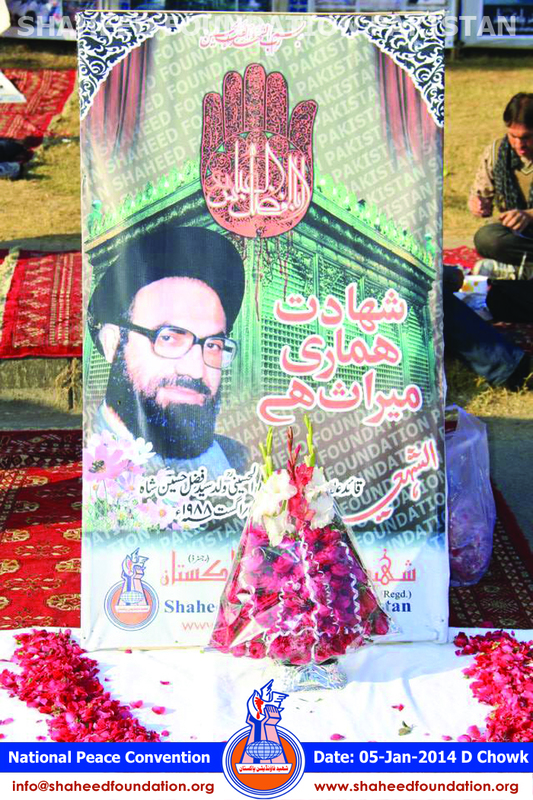 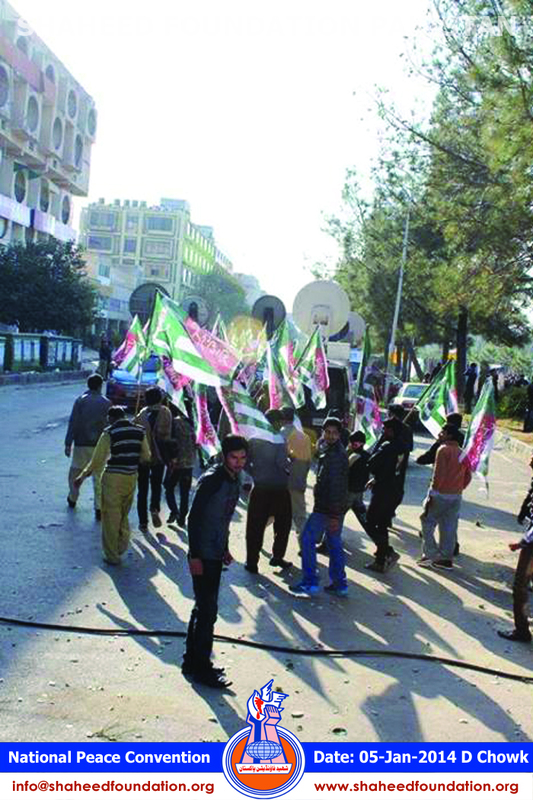 Shia leaders also vowed for massive participation and hosting the Eid-e-Milad-un-Nabi Julus as well as offering services like sabeel arrangements etc for the congregations marking the birth anniversary celebrations of the final prophet of Islam Hazrat Muhammad Mustafa [SAWW] which falls on 12th of the lunar month of Rabi-ul-Awwal . 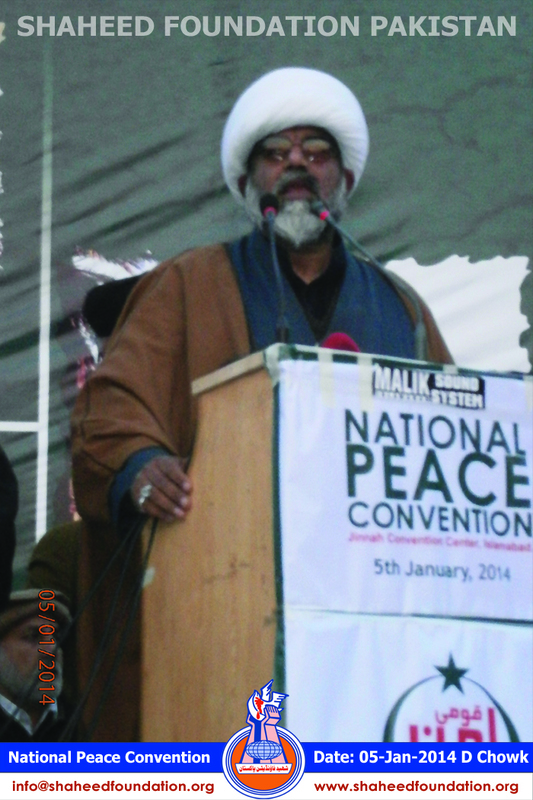 Slogans of Labbayk Ya Rasool Allaah and Labbayk Ya Hussain kept reverberating throughout the duration of the program.